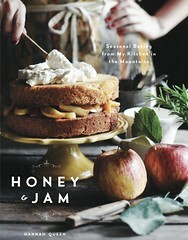 honey & jam | recipes + photos: Hummingbird Cupcakes with Orange Marmalade Frosting. 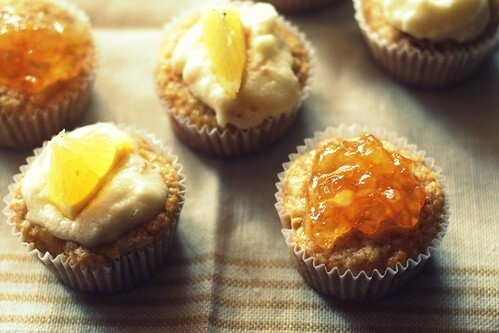 Hummingbird Cupcakes with Orange Marmalade Frosting. Several years ago my mom was catering a ladies tea at my church. She wanted me to do the dessert, and I instantly knew what I what I was going to make: hummingbird cake. A room full of church goin’ southern women? How could I pick anything else? It’s said that hummingbird cake first appeared in Southern Living magazine in 1978, submitted by a Mrs. L.H. Wiggins of Greensboro, NC, since then it’s swept the south, charming us with it’s fruity sweetness. 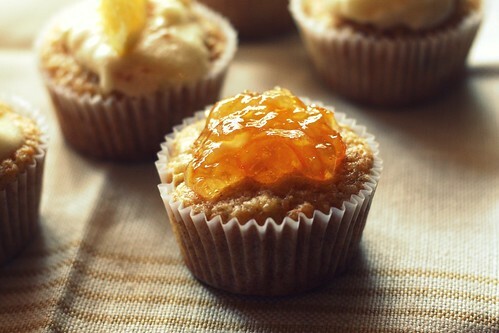 When I was looking up recipes for the tea, I found this one for hummingbird cupcakes with orange marmalade frosting. It was so, so perfect, but I hadn’t made it since then. The other day, I was reminded of the event, and I got a hankering. This cake can seem labor intensive, but it’s not, really. Buy pre-crushed pineapple and all you have to do is shred your carrots and zest your oranges. The end result is worth it. The flour content is quite low in these, it’s mostly held together by fruit and veggies. They fall apart as soon as you bite into them. You might even have to eat them with a fork. But you will not be disappointed! I topped half of these with the yummy frosting and half with plain orange marmalade. Either way is delicious! 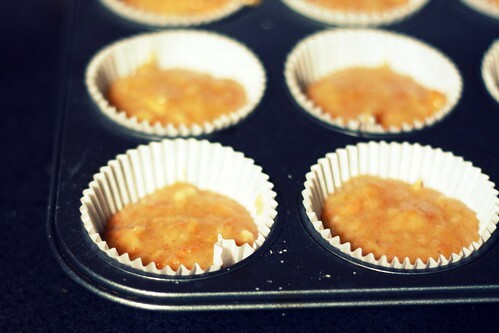 Preheat oven to 350°; place 12 paper baking cups in a muffin tin. In a bowl, sift flour, baking powder, and cinnamon. In the bowl of an electric mixer, cream the sugar and oil with an electric mixer until light and fluffy. Beat in the eggs slowly; then stir in the dry ingredients in 3 batches. Add in the the banana, orange zest, carrot and pineapple; stir until combined. Spoon the batter into the cups; bake for 20-25 minutes or until test done. Remove pan from oven and cool for 5 minutes; remove cupcakes and cool on wire rack. Make the frosting: beat the butter in a bowl; add in the remaining ingredients; stir to combine. These look like tasty and easy to make treats! i've never had hummingbird cake...lovely! MMMMMMMmmmmm! Looks good! I may have to try this some time. these seem to be stealing some thunder from carrot cake flavors, def a favorite!! but appears worth the burglary, so cute! 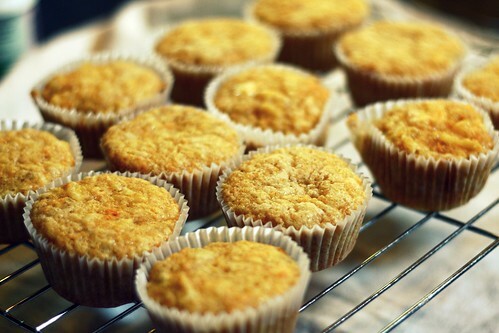 I might just have to call these muffins so I have an excuse to eat them for breakfast. And they're kind of healthy, right? Very tempting. Those look so delicious and tempting! These cupcakes look so delectable. I love Hummingbird cake and your are right, great dessert for us southern ladies. I think making into a cupcake is brilliant. I like the idea of a marmalade frosting. They look yummy! These look delicious! Your photos are amazing, like it seems possible that I could lick the jam off of my computer screen... I've never had hummingbird cake- seems like an interesting combination of ingredients. Oh Hannah these are WONDERFUL!!!! I am saving this to try! My mother in law is going to love them!! I've ALWAYS always always wanted to try these, definitely as soon as I come back, they look to die for! Your photos are always so terrific! 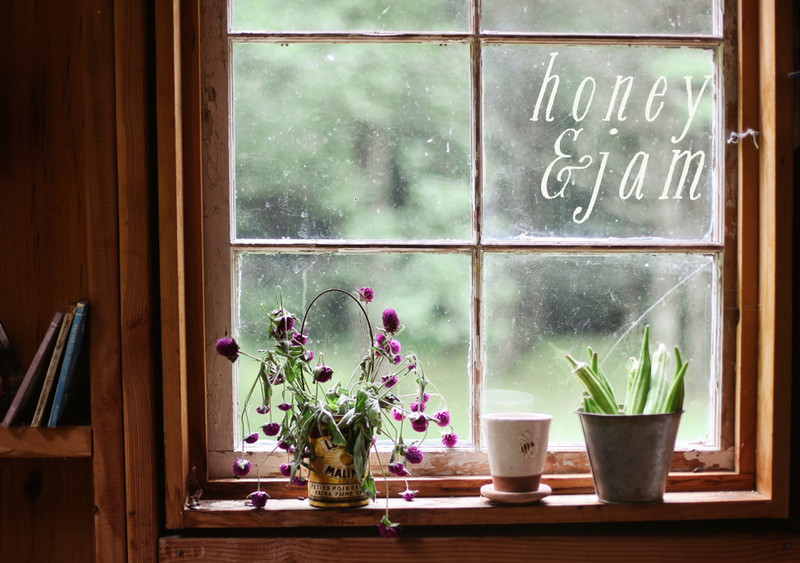 the photos are darling and the recipe sounds delicious! These look so sweet! I made a six-layer Hummingbird Cake awhile backe and loved the moistness of it. Love the cupcake idea! Hannah, I wish I was your pet. You could carry me around in your pocket and feed me little bits of heaven just like these divine cupcakes.